The name, Kinning Park Complex, refers to both an organisation and to a place. The centre provided local residents with vital space for gathering and shared learning. 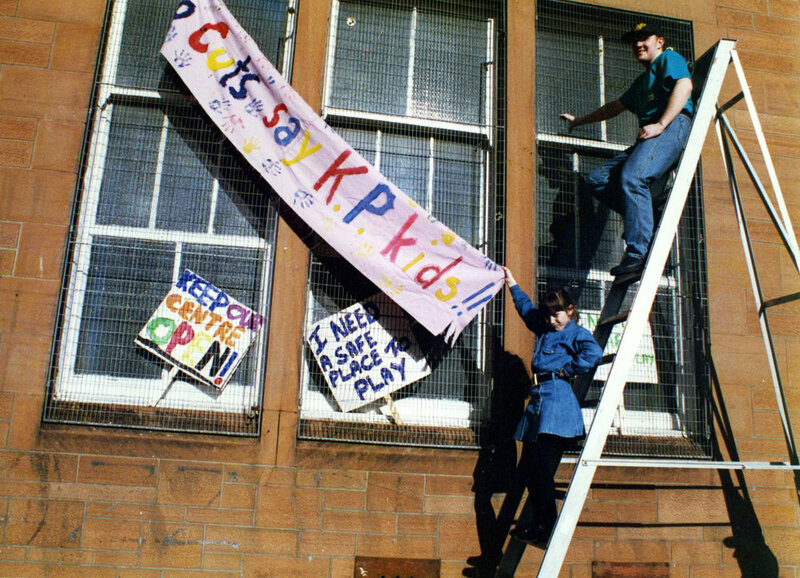 Slated for closure in 1996, a group of the centre’s users and supporters took matters into their own hands and began an occupation of the building. Finally an agreement was reached with the local council, and the centre remained open under the new management of a community organisation - Kinning Park Complex. Today Kinning Park Complex is a vibrant hub of community activity. The old school dining and sports halls host community meals and workshops. Converted classrooms on the top floor provide studio space for a number of resident artist and charitable organisations. We have been working with KPC since 2017 to find a way to make sure their building is functional, flexible and accessible for generations to come. We began our process by speaking to the people the building currently supports - tenants, local people, and the team who run the space. These conversations created a clear brief for us to answer. The most pressing concern was funding. Our initial design study provided weight to KPC’s Big Lottery bid. As it stands today, the ownership of the building is in the process of being transferred. This is being supported by Scotland Land Development Trust. Our approach to the building is one of adaptive re-use. Making the most of the building’s heritage and existing structure to create functional, flexible and accessible community and creative workspace across all three storeys. We are currently working through detailed and technical design in collaboration with Armour Construction Consultants, David Narro Associates, Atelier Ten and Max Fordham LLP.